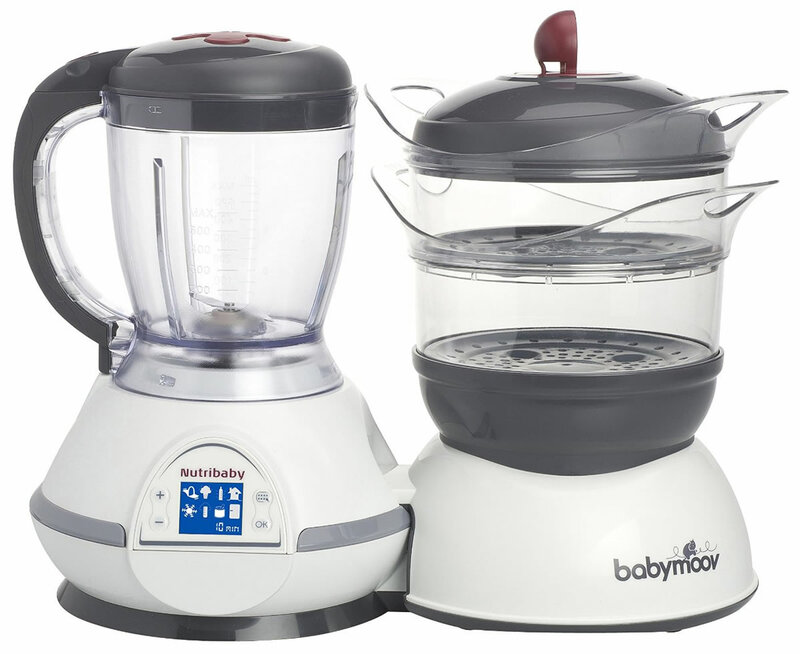 The first 5-in-1 food processor that steams, blends, sterilizes, warms and defrosts Baby's food. 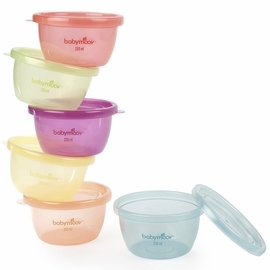 The Nutribaby will help you cook Baby's meal in no time! With a capacity of 51 oz cooking and 20 oz blending (the biggest capacity on the market), it is ideal for cooking larger batches. 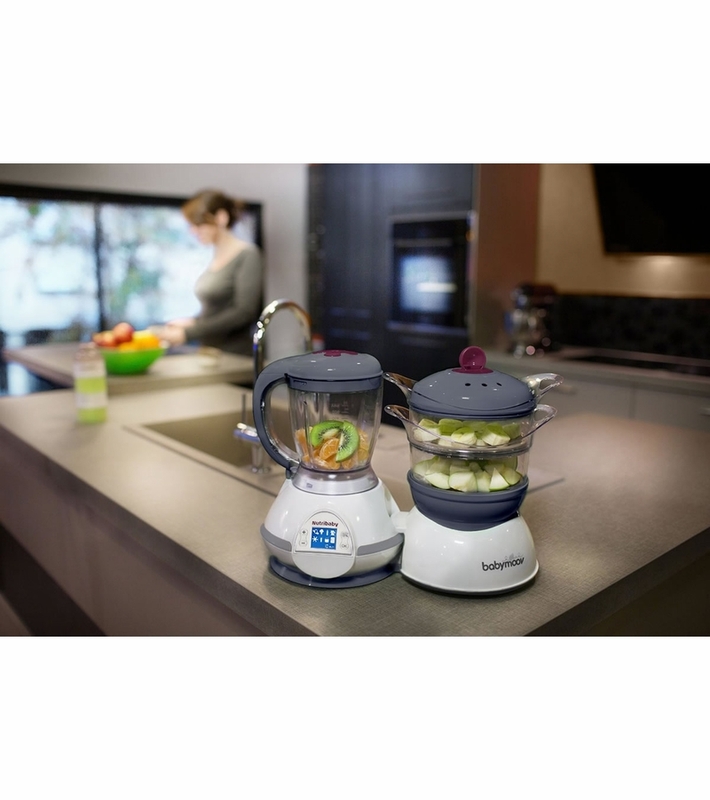 The Nutribaby is 100% automatic and features 5 functions that are easy to use and control via the LCD screen: Warms baby bottles and jars, Sterilizes (The Nutribaby allows you to warm and sterilize up to 3 bottles at the same time), Steams, Defrosts, Blends. 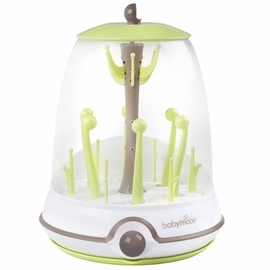 The Nutribaby helps you cook healthy meals for Baby with its two baskets that separate food groups and allows you to preserve nutrients and taste. Forgot to switch the Nutribaby off? No worries, the Nutribaby switches off automatically! The Nutribaby also comes with a spatula and a recipe book to guide you to do real cooking for Baby! Make your own organic food. No more buying baby food from the store shelf's. Instead, make your own organic food for your baby. Love the idea of this design. Consit was dirty and looked like it was on the store shelf for long time. I couldn't get the marks out. after few emails and calls, Albee got me an additional credit due to my wife needing it to use it right away. 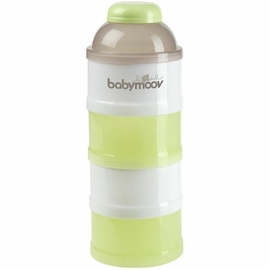 We started the solid food last week and everything was very easy because of babymoov. Very easy to use and even easier to clean. We are very happy with our purchase. Baby loves the fruit puree, and mommy as well! Very satisfied with the purchase! We use it to warm bottles, steam veggies, make purees, warm baby foods, etc. It's very versatile. I believe it can also sterilize bottles. If you don't have enough countertop space in your kitchen, this is what you want to get! 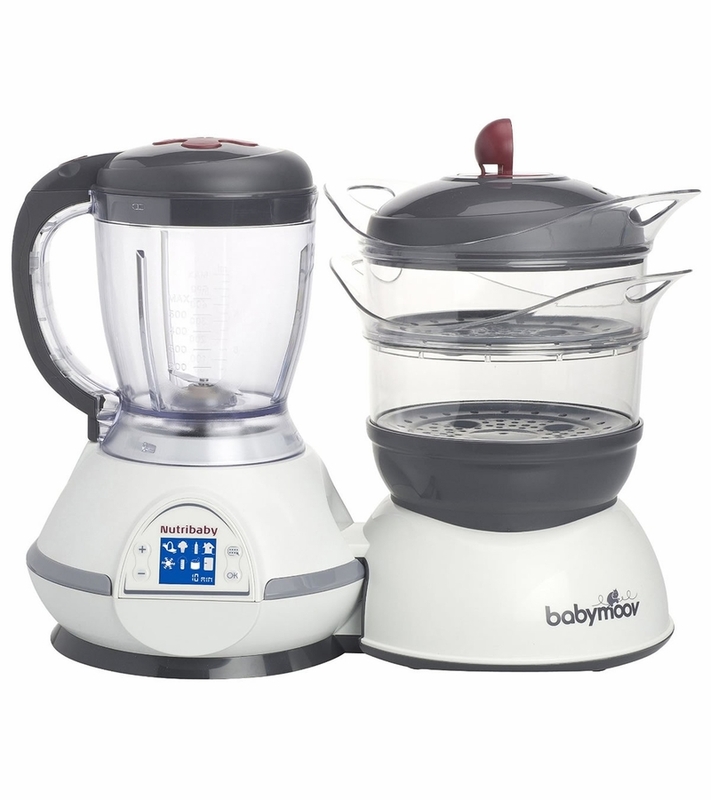 Easy to use, clean, best features, and durable.I wish I would of brought them earlier to warm the baby bottles and sterilize as well.I use it for myself to steam and mix, big enough size for adult use too. I've been using it since my LO start eating solids. It's very convenient. Only wish blender had more blades, it takes time to make pure, but I can deal with that. Love multi functional steamer. I use it everyday! love this food processor! 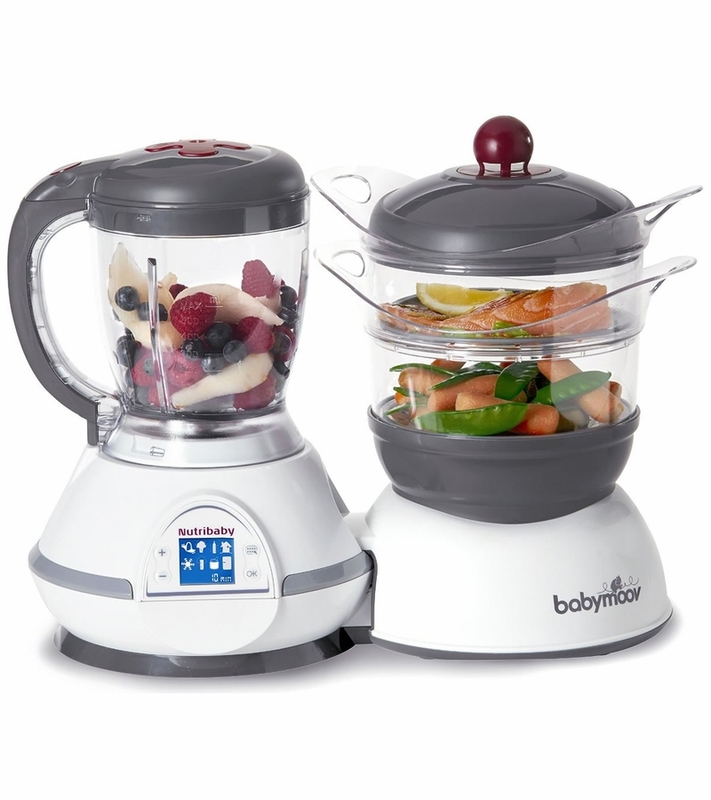 I have been using this food processor/steamer everyday since i started feeding my baby boy solids. I didn't even need to read the instruction to figure things out, it is so easy to operate and it does exactly what i want. The only thing is that it takes up a lot of counter space but if you have a large kitchen you shouldn't have any problem. It works pretty good. I have no complaints! Best UsesIt makes baby food. Sometimes, we can clean some baby utensils as well. Bought this to make baby food for my little guy. I have been using this for a month now and so far I love this product. It has two steamer so I can steam two things at once and has a timer so very convenient. ProsSteamer and blender is separated so it is clean and safe. Big steamer so you can steam a lot of baby food at once when you want to freeze them for later. ConsLots of parts that need to be washed after each use.